What is a CPAP Titration and Is it Truly Necessary? 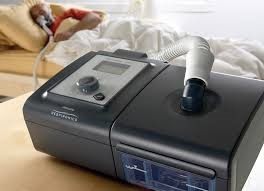 Use of Continuous Positive Airway Pressure, also called CPAP therapy, is needed because it has been determined that your airway tends to be blocked while you sleep. This can be caused by several factors and has been diagnosed as a result of a previous sleep study. Once it has been determined that you will need CPAP therapy, the physician will order what is called a Titration study. CPAP is a common treatment used to manage sleep-related breathing issues like Obstructive Sleep Apnea. The CPAP titration study will typically follow an in lab diagnostic study. The titration study itself is done in a lab and is for the purposes of calibrating a CPAP machine to ensure your therapy is successful. When possible, here at Alaska Sleep Clinic we try to perform the CPAP titration on the same night as the diagnostic study. However, that is not always the case. In some instances where the diagnosis is not clear prior to your first sleep study, you will need to have a second titration study. You may ask, “What can I expect during this study?” This is certainly a good question. Typically when you arrive for this appointment, one of our sleep technologists will spend some time getting you fitted with a mask that suits you. Finding the right mask for you is important because if you are not comfortable with the mask, the odds of successful treatment are small. The mask can be one of three kinds: nasal, full face or just nasal pillows. Once the right mask has been selected, it is then connected to a tube that connects to a machine. This machine will blow air through the tube, into the mask and eventually into the back of your throat. You may ask” Is the machine taking over my breathing?” No, the machine does not breathe for you, it simply changes the pressure of the air that you breathe. After a mask is found and fitted, you will have time to make yourself comfortable. Much like the first study, the technologist will attach sensors to your body so we can monitor your sleep. The difference between this study and your previous study is that this study involves you being connected to the mask and CPAP machine. Throughout the night, the technologist will remotely change the pressure you are receiving. The adequate pressure is identified when you no longer experience periods of arousal or wakefulness. This may sound a little intimidating however, be assured that the pressure starts out very low and is increased gradually so as not to cause discomfort or anxiety. Remember the idea is to make you as comfortable as possible. You may ask, ”Will the sleep tech be in and out of my room?” The sleep tech may have to adjust the mask itself or change it out if you start to show indications of having a problem with the mask such as leaks, etc. “What happens after I have my second study?” Once the study is complete, the physician will review it and issue a prescription for a CPAP machine and mask for your use. Alaska Sleep Clinic are happy to assist in filling your prescription for you whenever possible. As part of our program, Alaska Sleep Clinic will follow up with you once you get home to see how you are doing with your new CPAP. If you’re curious to learn more about sleep apnea or our titration program here at Alaska Sleep Clinic, please contact us here.